We all want the best mobile antenna, preferably this has to be the smallest one as well. As usual this is never the case. Luckily for us there is a great variation in mobile antennas in length, looks and again price. 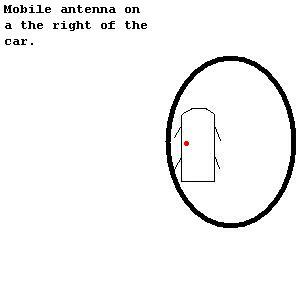 You could say there are two kinds of mobile antennas. The one who depends on coaxlenght for "grounding" , these can be used b for example on polyester boats. By changing the length of the coax cable the SWR will change. The second type uses the metal to which the antenna is connected as its counter system (grounding). We know that almost all antennas are based from the dipole, this is the case as well with the mobile antenna. You can see the vertical mobile antenna as one half of the dipole, the other half is the car itself or the outherbraid of the coax cable. But with a coil comes losses although they are not large, it is still a factor to deal with. These can be kept to a minimum by choosing the mobile antenna which can handle the highest power. This will mean that this is the larger coil (diameter) and therefore has the lowest loss. Sadly all mobile antennas have no Gain, only loss, logical since the length of a mobile antenna is to small to create any. Also the often seen additional remarks, like this is a 5/8 wave length mobile antenna! !, well...not true of course, If a mobile antenna is 1 meter long it is 1/11 wavelength simple as that. So the best mobile antenna is indeed the longest antenna. When you decided what your maximum length and still have a few models to choose from, then you should go for the antenna which can handle the highest power. And preferably with a coil on top. 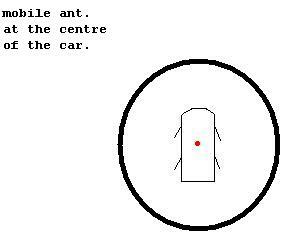 At last, don't think you are lost with only a mobile antenna. In December 2005 I worked stations from 43 division who were using only 20 watts and a mobile. There are a few guys who have over a hundred DXCCs on 11 meter with a mobile. And there are guys who have a real good DX-spot for example on a hill near water and use the mobile set-up there for DXing, with better results than at home.